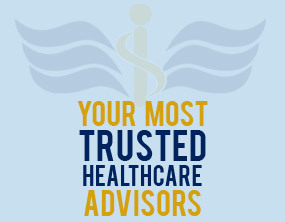 MDcpas was established to meet the unique needs of the healthcare professions, providing medical, dental and other healthcare business accounting, tax preparation and planning for doctors and dentists, medical practice consulting and benchmarking, as well as dental practice consulting and benchmarking. At MDcpas, our goal is to understand and fulfill your needs, minimize your tax burden, maximize your wealth and lower or eliminate any anxiety regarding your finances. After 25-plus years of specialized experience serving in your financial arena, we have the resources and expertise to help position your company at the forefront of the competition, and we have the ability to help solve any business issue you may have. As members of the Medical Group Management Association (MGMA) and the American College of Medical Practice Executives (ACMPE), you can be assured we understand the nuances of today’s healthcare practice and know how to address them. You have come to a place where in regard to our exclusive clientele, the journey, and the client experience, means everything. We offer a FREE initial consultation for business owners. Call us today at 800-477-5857 and ask for Glenn Kempa, CPA, regarding our accounting, tax and planning services. This entry was posted in Accounting, Medical by admin. Bookmark the permalink. Copyright © 2019Practice Builders and A Division of Kempa & Company, CPAs, LLP. All rights reserved.